At local bookstores and natural food stores. Online at Amazon.com in paper or Kindle format. At Vegetarians of Washington events, like our Monthly Dining Events and Vegfest. – F McEachrane Gross, MD. “A good cook book is like a trusted guide when entering new territory. Without the guide there may be reticence and even failure to go forward. With a trusted guide progress is made into new areas with confidence and pleasure. 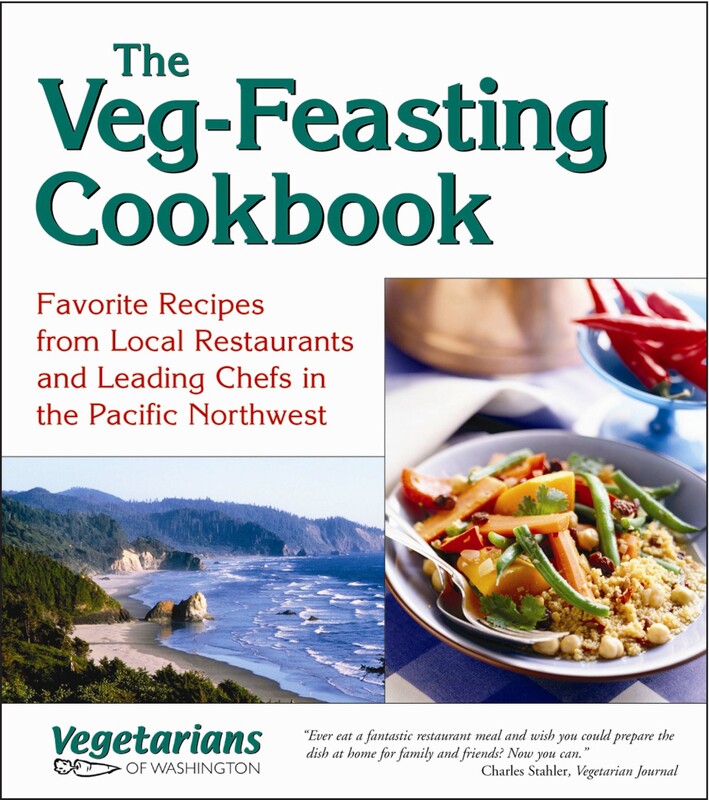 From a doctor’s standpoint, I am pleased to endorse a vegetarian cookbook – particularly this cookbook – because I know the power of phytochemicals in vegetarian food to decrease the pain of arthritis, lessen the danger of the common degenerative diseases such as cancer, heart disease, diabetes and depression. And all of these wonderful advantages are experienced along with the pleasure of eating really good food at no extra cost of pills or expensive potions!